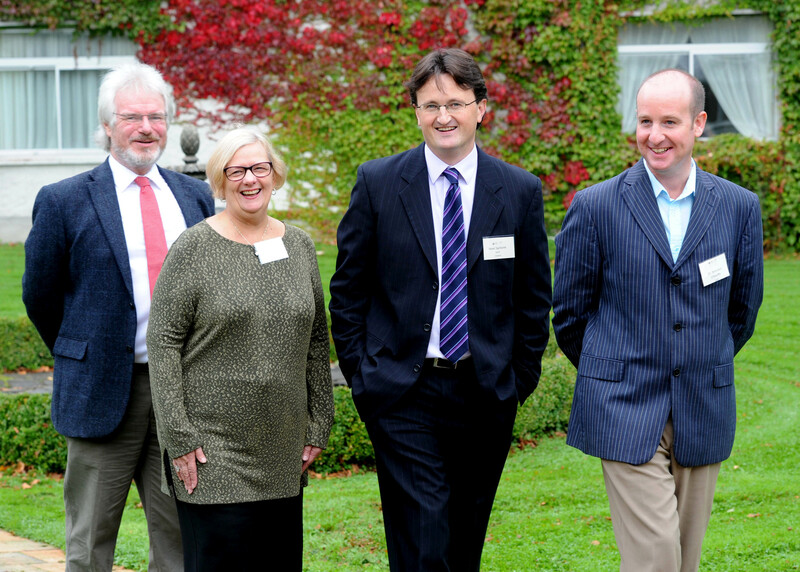 October 2013 – South Kerry Development Partnership CLG. A number of very good development opportunities that could potentially provide long term sustainable sources of income for rural communities in South Kerry were identified during a tour of the region by more than 100 overseas delegates last week. The delegates from France, the Netherlands, Belgium, Wales & Germany were taking part in the 4 day INTERREG Rural Alliances Conference organised by South Kerry Development Partnership Ltd., one of the 12 partners in the project. Among the ideas put forward by the group was an community backed energy project, the redevelopment of an old mill to provide commercial and community facilities as well as much additional development that could be undertaken around existing facilities in areas such as Valentia for example. Delegates were also greatly impressed with the range and accessibility of walking trails in the county and feel that much potential exists with these facilities to generate much needed additional income sources for the region. Rural Alliances Project Manager Seán de Buitléar said delegates gave a very positive feedback on the region overall and see many opportunities for the civil society groups to develop sustainable projects that will ensure they are vibrant regions to live and work in for the future. “They were delighted to have the chance to offer their opinions on what they saw as the potential development opportunities in the region and have offered to assist groups with this work in the future” he said. “Many of these delegates are involved with or working with similar civil society groups in their own rural regions and are encountering similar problems such as depopulation and a lack of economic opportunities” Seán pointed out. “The opportunity to learn and benefit from our overseas partners is a key benefit of being involved in a cross nation project such as Rural Alliances and we will now be working to build and develop the links established through this visit” Seán concluded. It is estimated that the conference was worth in region of €50,000 to the South Kerry area over the 4 days of the event and it is expected that many delegates will return to the area in the future through both the Rural Alliances project but also in a personal capacity on holiday. Featured BTWEA Business – English as a Foreign Language? Rachel will teach English as a foreign language in a variety of settings. Lessons with Rachel are tailored to each individual and she will focus on your area of weakness but yet she will do so in an enjoyable manner by using topics that you her clients are interested in. Rachel’s philosophy is to foster an environment that promotes diversity, equality, deep learning and growth in a humanistic and integrative manner. With the growth in the numbers of people coming from different countries to settle in Ireland, Rachel has found herself inundated with students and is always readily available to facilitate her students with their integration. Rachel, herself has a genuine fascination with language, interest in people, empathy with learners and is highly conscientious and committed to the highest standards of professional service whilst being motivated by the best interests of her students. This exciting new enterprise has emerged in 2012 with the help of the Back to Work Enterprise Allowance (BTWEA) facilitated by South Kerry Development Partnership Ltd (SKDP). This scheme encourages people getting certain social welfare payments to take up self employment opportunities by allowing them to retain a proportion of their social welfare payment, plus secondary benefits. For further information on the BTWEA, please contact an Enterprise Officer from SKDP in your area. Joanne Griffin (Killorglin and Kenmare) on 087 615 2660 or Anne O Riordan (Cahersiveen and Killarney) on 066 947 2724.